On December 10, 2015 Borla, North & Associates, P.C. lost one of its esteemed members. 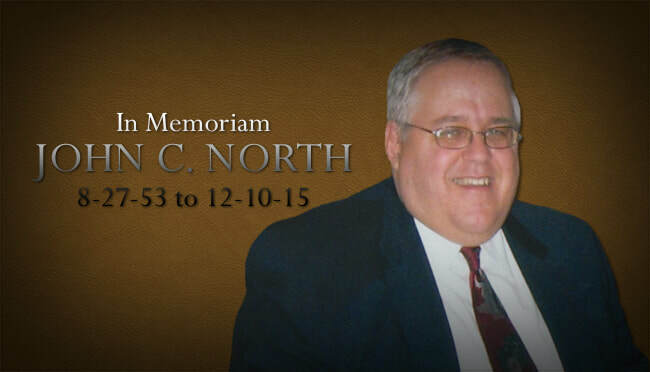 John C. North had been with Borla, North & Associates since 1983. As one of John's clients said when she learned of his passing,"...he was never a disappointment, always a gifted proponent of the law, helpful, kind and certainly one that will be missed." All of us here at Borla, North & Associates could not agree more. We will all miss his sense of humor, his opinions and superb knowledge. To commemorate John's influence, the firm will continue the practice of law under Borla, North & Associates, P.C. We have hired two new associate attorneys and Mr. Borla will continue his practice in real estate, estate planning and corporate law.